Energy costs have a big impact on the bottom line at manufacturing plants. The U.S. Department of Energy estimates that the manufacturing industry spends $200 billion on energy, and almost a third of that ends up as wasted energy. The good news is: you’ve actually got a lot of control over these costs. Don’t just resign yourself to this big expense without taking steps to economize. Good for your profits, good for the environment, and it may even qualify you for tax credits or other incentives. Here are some tips to consider. Engage in regular energy audits. Hire a specialist, or do them in-house using an energy guidebook. Assess your energy usage concerns and goals, and develop a plan accordingly. Develop metrics for specific departments, and for the facility as a whole. Assemble an administrative energy management team, or appoint a single person to be in charge of energy usage. New equipment is generally more efficient than older equipment. Include anticipated energy costs when you are making purchase decisions, or deciding whether to repair versus replace an aging machine. Know the cost differential for your electricity, and try to schedule heavy energy usage outside of peak hours, when energy costs are higher. Are lights kept on unnecessarily? Try automation. Automated systems can adjust lighting based on ambient daylight and/or the room’s occupancy. Day/night switches can control outdoor lighting. Motion detector sensors can switch lights on only when the area is in use. Identify when the production floor can be shut down, powering all machines off. Weekends or overnight, if no one is working, why pay to keep machines at the ready? Train employees to shut off equipment when not in use. Keep an eye on this with regular walk-throughs. Evaluate the HVAC system: is it time to upgrade? Also consider a programmable thermostat. An Internet of Things (IoT)-powered device can help identify and resolve inefficiencies. Perform regular maintenance on the HVAC so it doesn’t have to work any harder than necessary. If you have automatic doors accessing a cold room or refrigerated storage, try reducing the close delay timeframe, and limit the frequency of access as far as practical. Check for leakages in air compressors, and turn them off when not in use. If cooling is a big expense, explore shading windows and walls with vegetation or filters. Also explore whether natural ventilation can help cool your work spaces. Alternative energy is getting progressively more competitive, and it may qualify for tax credits or other incentives. Crunch the numbers and learn how long it will take for a solar system to pay for itself. 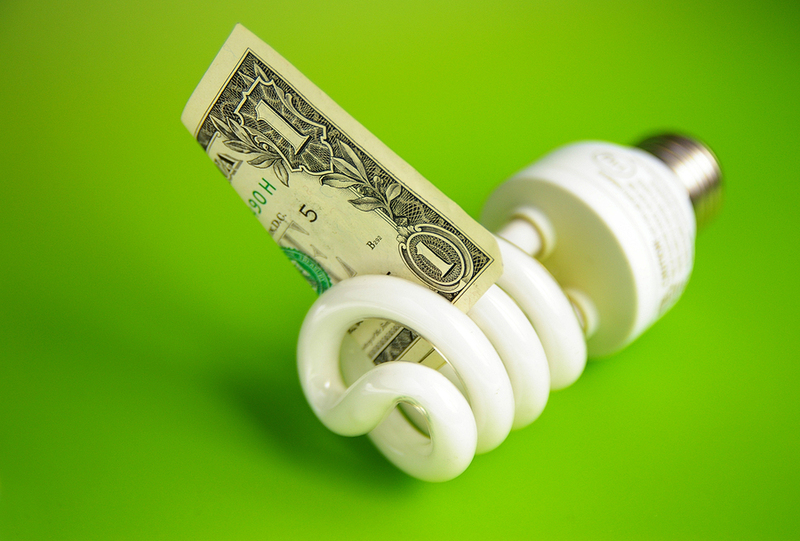 Loads of resources are out there to help you pursue energy savings. Energy.gov has an Advance Manufacturing Office with lots of industry-specific information. An internet search for saving energy in manufacturing will connect you with more useful information specific to your needs.